When I first became acquainted with Paul’s prayer for the Ephesian church my first impression was Paul was telling the people God would give His power to those who believe in him. Last night while reading and thinking about it again I discovered I was wrong. Instead of giving us His power as a gift Paul was talking about the power God exercised and exercises ON us who believe. It’s not God’s power we get but the “fruit” of His power. 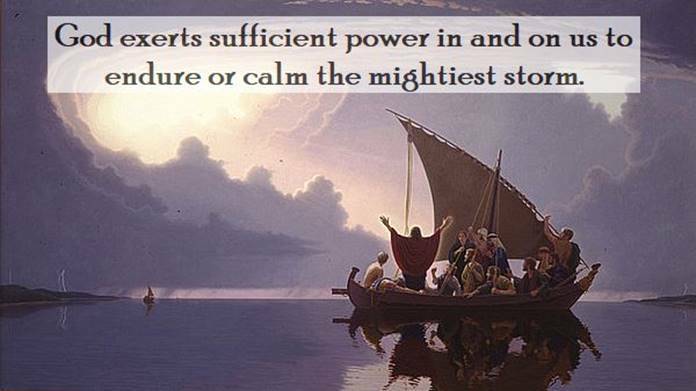 Paul wants us to believe in God no matter what happens to us or whatever circumstance life throws at us because when we exercise our belief in God He exerts sufficient power in and on us to endure or calm the mightiest storm. If you want proof just take a long hard look over the past years of your life. I know I’ve looked back on the years of my life.